You know the old saying, “You are what you eat” when having a healthy body weight is concerned? The same goes for skincare. 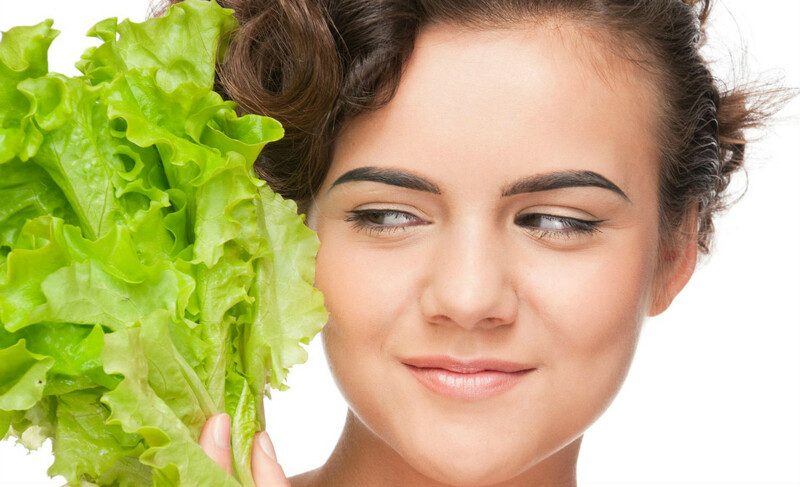 If you want glowing, youthful, healthy skin, here are the top seven foods that you can incorporate in to your diet. Vitamin A is crucial for skin health, and low-fat dairy products is one of the best sources to get this important vitamin. According to WebMD, it’s also “doubly important to eat A-rich dairy foods if you have either diabetes or a thyroid condition.” If you eat low-fat yogurt, you’ll get doubled benefits, because it helps your body maintain good, “live” bacteria — which is not only good for your overall health, but good for your skin, too. A diet that includes a lot of whole, fresh produce will keep your skin and other cells appropriately hydrated. Fruits and vegetables that are rich in Vitamin A, such as sweet potatoes, will enhance your skin tone. Remember, the more colorful the fruits and vegetables, the better for your skin and overall health. Any type of processed food isn’t ideal for a healthy body or healthy skin, but you do need some sort of carbohydrate to maintain energy. White flour causes acne because it increases inflammation in the body. If you have to have your carb fix, stick to complex carbohydrates like beans, brown rice, quinoa and truly whole wheat breads and pastas. Most people associate berries—mainly, blackberries, blueberries and strawberries—with being foods that are high in antioxidants. However, other fruits and vegetables that provide the same amount of antioxidant levels include artichokes, red, black and pinto beans, prunes and pecans. Antioxidants protect cells (skin and other cells) from free radicals, which, for skin, can include damage from sun exposure—however, don’t throw away the sunscreen. Sunscreen combined with a diet that includes antioxidant-rich foods will keep your skin youthful, fresh and glowing. Though not technically a “food,” green tea is the ultimate beverage to have in your diet for clear, healthy skin. It has anti-inflammatory properties and protects cell membranes. Some professionals suggest that green tea can prevent or reduce the chances of skin cancer, because the tea reduces the amount of ultraviolet light coming in contact with your skin. Vitamin E protects fights dryness by helping your skin maintain its natural moisture. Almonds, sunflower seeds, Swiss chard, spinach, kale and turnip greens are foods with high vitamin E. Vitamin E also protects your skin from free radicals and offers added protection from the sun’s harmful rays.